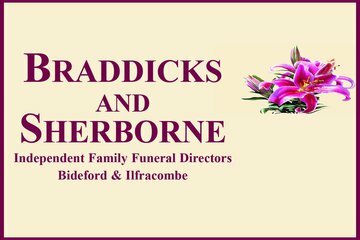 Braddicks and Sherborne Funeral Directors specialise in providing a comprehensive range of funeral services to Bideford and the surrounding area. Braddicks and Sherborne Funeral Directors is an independent company that provides everything from practical assistance with arranging a funeral to advice and support for the bereaved. Covering Bideford and the surrounding area, Braddicks and Sherborne also serves the whole of North Devon and provide long distance funerals. 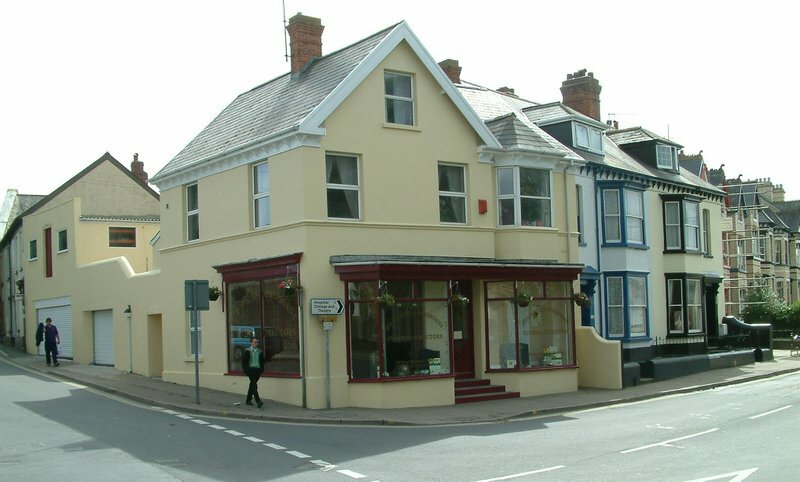 Their funeral home, based in Bideford, has a warm and friendly reception, an inviting family room and a peaceful viewing room. Services range from traditional to contemporary burial ceremonies, cremations, and remembrance services. With the option of green and woodland burials, sea burials, humanist funerals and repatriation, Braddicks and Sherborne can cater to a range of faiths and beliefs. Help is available with all aspects of the funeral planning process, from catering advice and service sheets, to floristry, stonemasonry and tributes. They also have a range of vehicles for hire; limousines, horse and carriage, vintage lorries and Volkswagen campervan hearses. Personal support for the bereaved is also available, including online memorials and a 24-hour service. Braddicks and Sherborne are trusted members of S.A.I.F – the National Society of Allied Independent Funeral Directors. Their aim is to make each funeral personal, unique and representative of your loved one. As a client, you can be assured that they place great importance on making sure all your needs are dealt with in a sensitive, caring and compassionate manner. For a dignified and professional service, call Braddicks and Sherborne Funeral Directors now. Lee is the most helpful, kind and considering person you could ever hope for when sorting through all this kind of thing. Could not recommend their funeral services more. Absolutely brilliant. Such excellent service and empathy for what is a very difficult time for relatives. Would highly recommend. Sadly, we used Braddicks & Sherborne twice within five months for both Dad then Mum. Lee and the team where very professional, with an exceptional personal touch and attention to detail second to none. The advice and support throughout the whole process made these difficult times much easier to cope with. Very highly reccomended. Roy's death was a shock to us all as a family. Arranging his funeral was made easier by Lee's compassion and professionalism. Listening to the family wishes and not rushing us. This extends to his receptionist and to Paul who also showed compassion throughout. Thank you all, your services were more more than excellent. Excellent service provided from start to finish. Very professional. From our first meeting with Lee to the day of the funeral they could not have been any more helpful and professional. We were very grateful to Lee and his team for providing an excellent service in such difficult circumstances. Our sincere thanks. Lee and his team were so very kind in every way and they have been a real support. Their guidance and care was invaluable and gentle at that difficult time. Nothing was too much trouble and on behalf of all my family, our heartfelt thanks. We would highly recommend them . Excellent service, Mr Sherborne, Mr Braddick and staff made things very easy for us after losing our Mum. They took care of everything, from the flowers, obituary, service to even driving Mum along Instow sea front so she could see the sea for one last time. We are very grateful to them all and can not praise them enough. Very professional, caring and looked after us all. The highest of recommendations to them. Courteous and respectful throughout. Nothing was too much trouble and our wishes were of paramount importance. With grateful thanks to Lee and his team. Excellent service nothing to much trouble would definitely recommend this company. Braddicks & Sherborne, Bideford will provide you with a free obituary as part of their service.